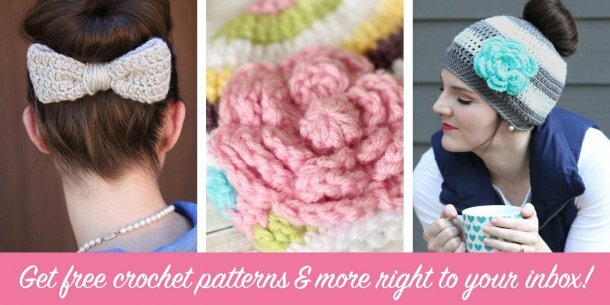 I’m very excited to offer this new free crochet pattern on the Daisy Cottage Designs blog. 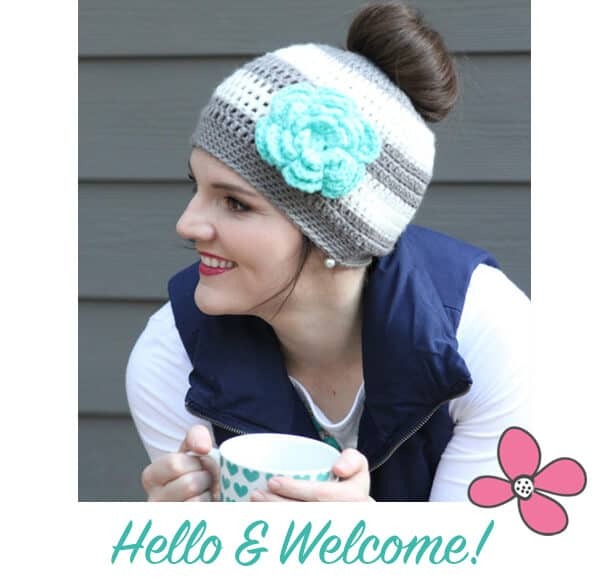 Whether you’re new to the blog, or you’ve been around since my first patterns, thank you for stopping by. 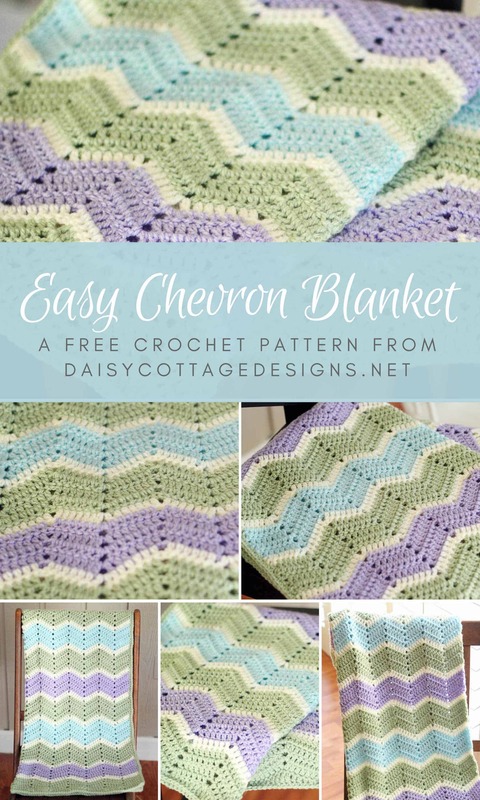 Today I have a beautiful chevron blanket crochet pattern for you. It’s a classic look that many people love. As I know I’ve mentioned before, one of my favorite parts of crocheting is selecting the colors for a project. One of my goals has been to branch out of my comfort zone with color choices. Another has been to use up my yarn stash (though this is tough since I just keep purchasing yarn). Can’t make this blanket right now? Pin it for later. This blanket is definitely outside my norm in the color department. I tend to use bright and bold colors, for the most part. 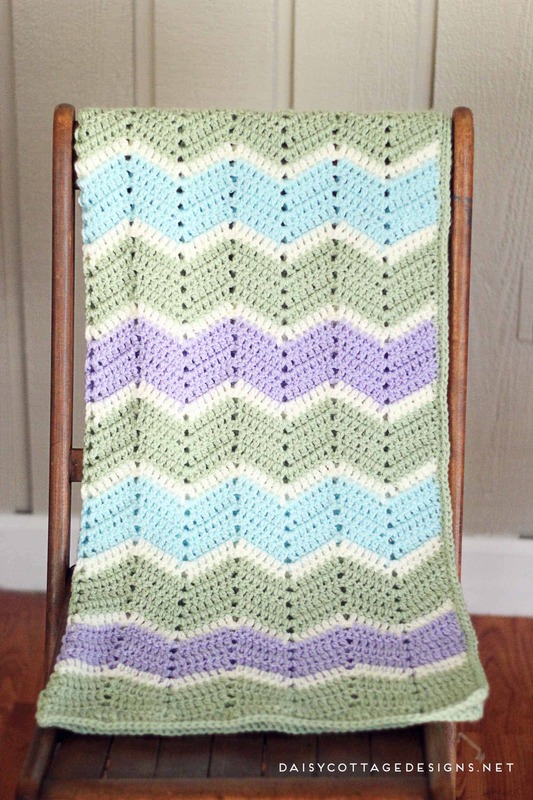 I went much more pastel this time.I used Paint Box Yarn’s Simply Aran for this chevron crochet blanket. I used 4 shades – Pistachio Green, Champagne White, Dusty Rose, and Seafoam Blue. I used one skein of each with the exception of the Pistachio Green – it took about 2 skeins of that particular shade – including the optional border. Paintbox Yarns are some of my favorite to work with. 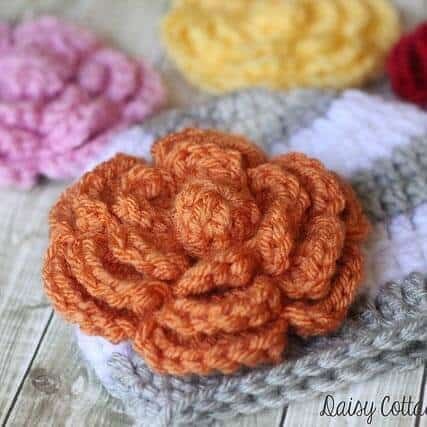 I love the color selection and the feel of the yarn. You also can’t go wrong with the price. 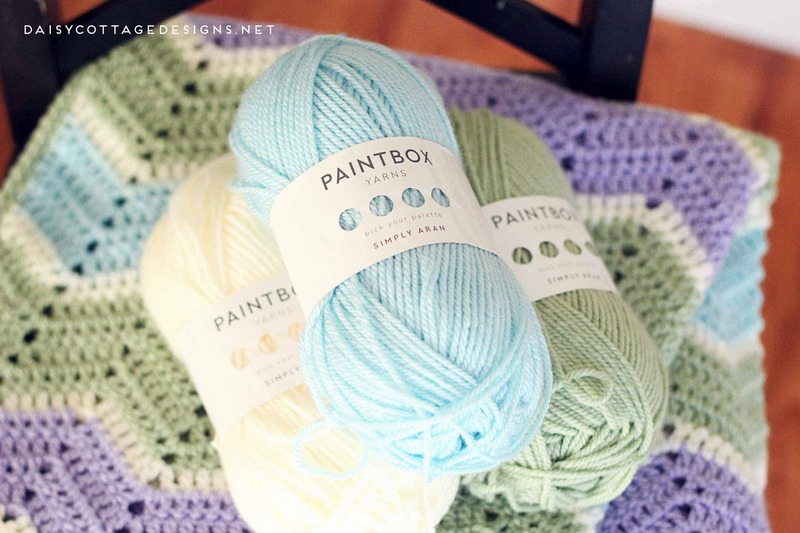 Paintbox yarns doesn’t know anything about me – so I’m not doing this because they’re paying me or giving me yarn – I just really love their product. 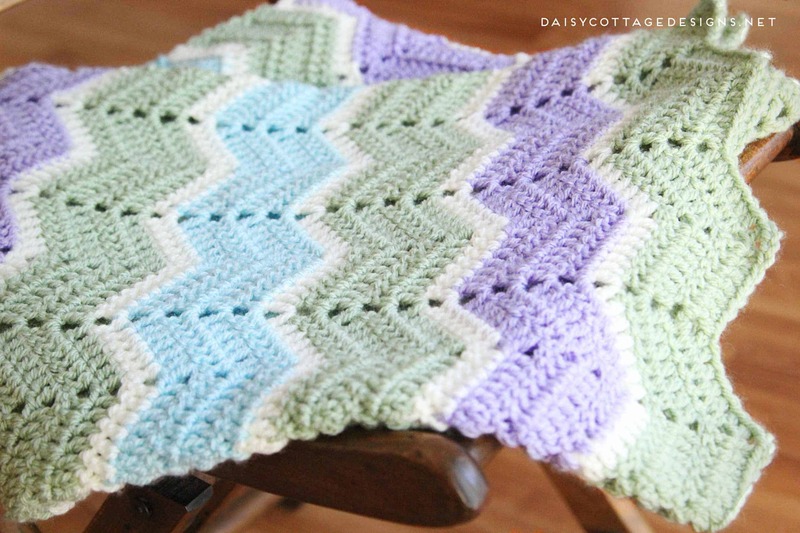 If you’d like to make a chevron crochet blanket exactly like mine, keep reading! 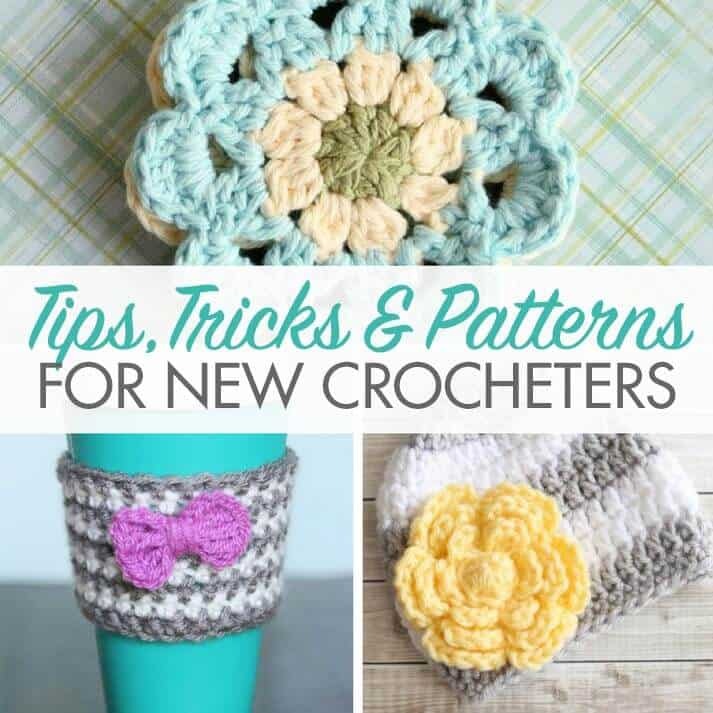 The free crochet pattern is below. My blanket measures 27.5” x 30.5”, but I’ve given instructions to make this blanket any size you wish. 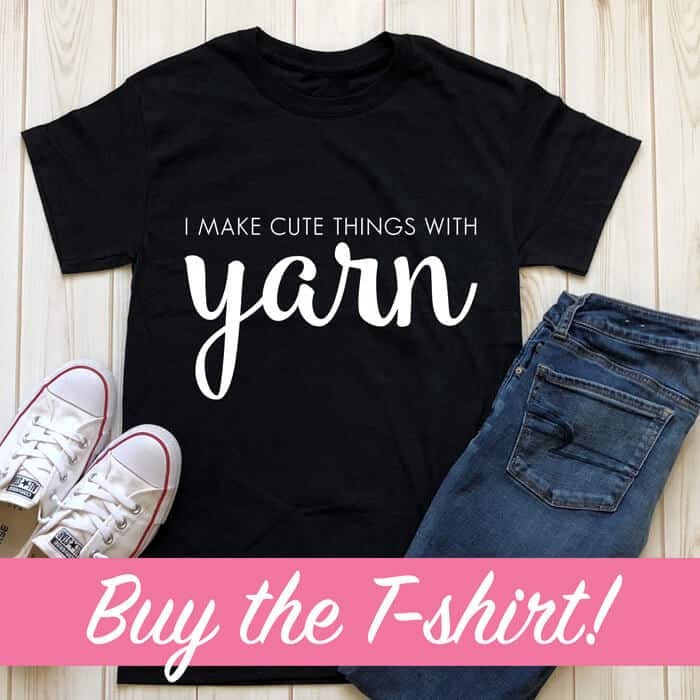 Just scroll to the end of the pattern for those instructions. Approximately 1000 yards of worsted weight yarn. I used Paintbox Simple Aran in pistachio green, champagne white, dusty rose, and seafoam blue. You will NOT work into the top of the turning chain in this pattern. The border is optional. The previous photo shows the blanket without a border. I did not write out exact instructions for the border, but I do explain how I worked it below. Using Pistachio Green, ch 121. Row 1: dc in the 3 chain from hook and in each of the next 5 chs *dc, ch 2, dc in the next ch. dc in the next 6 chs. sk next 2 chs, dc in the next 6 chs* across until 8 chains remain. dc, ch 2, dc in the next ch. dc in the next 5 ch. dc2tog in the last 2 chs. ch 2, turn. Row 2: Skip the first st, dc in the next 6 dc. *dc, ch 2, dc in the next ch-2 space. dc in the next 6 stitches. skip 2 dc. dc in the next 6 stitches* across to last ch-2 space. dc, ch 2, dc in the last ch-2 space. dc in the next 5 stitches. dc2tog. Ch 2 turn. YOU WILL NOT BE WORKING INTO THE TOP OF THE CH 2. Keep repeating this pattern until your blanket is the length you’d like it to be. I have a total of 54 rows. After you’ve finished, weave all your ends and enjoy! 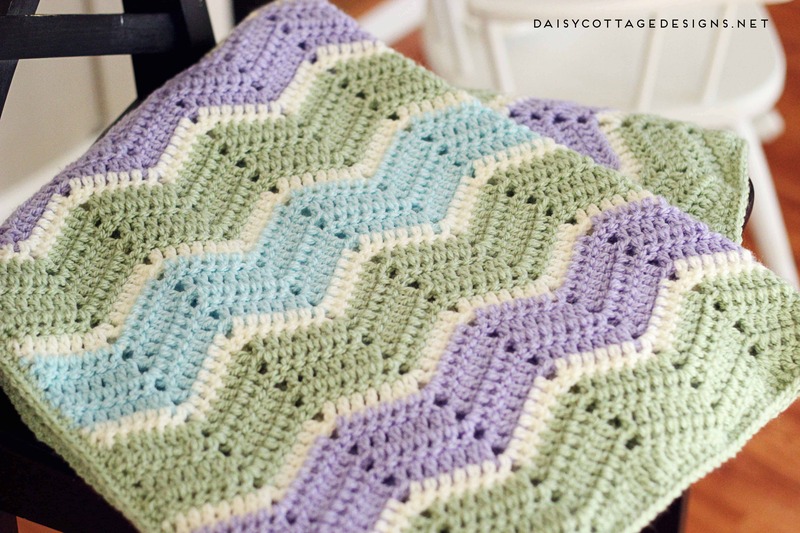 Play around with colors, and if you make this blanket, please tag me on Instagram (@daisycottagedesigns) or use the hashtag #daisycottagedesigns. I love seeing projects made from my patterns. I worked a border around my blanket to give my blanket a straight edge. 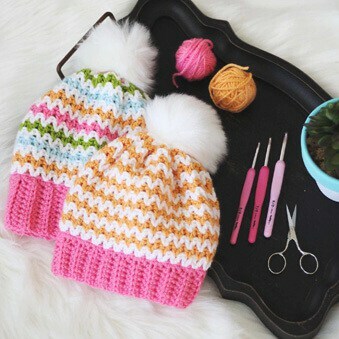 To do this, you need to fill the chevron with different height stitches. 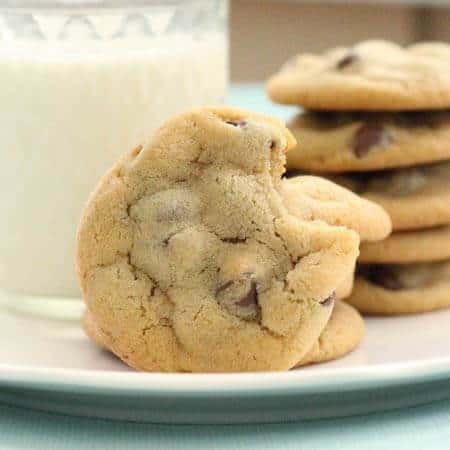 I didn’t write out a pattern for this per-se, but this post from LittleTin Bird will give you a good start. The image above shows you what stitches I chose to use. 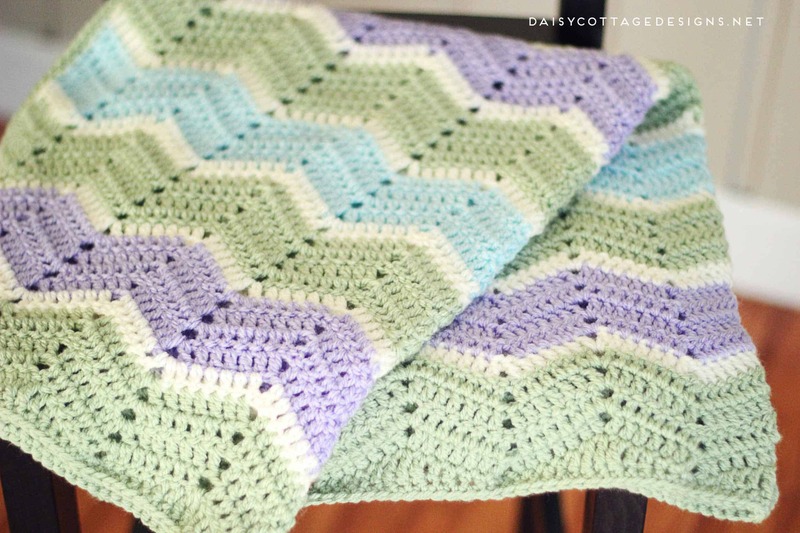 To get started, calculate the size you want your finished blanket to be. 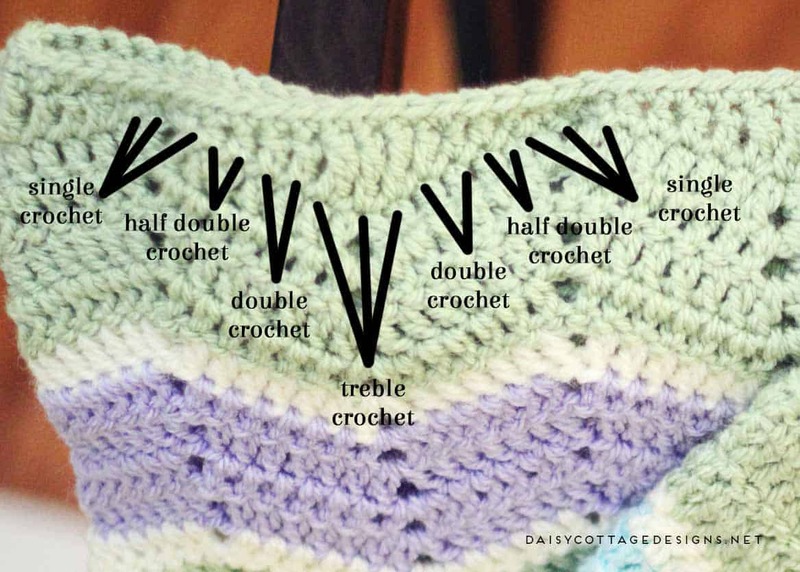 Each chevron (up and down) is approximately 4 inches – this will depend on how tightly you crochet and what size hook you use. Your starting chain needs to be in multiples of 15 + 16. So let’s say you want your blanket to be approximately 60 inches. You’ll need to have about 15 up and downs to make your blanket the correct width. If you want your blanket to be approximately 100 inches wide, you’ll need to have about 25 ups and downs. After you calculate your starting chain length, you’ll follow the pattern exactly.